Though Palembang is one of Indonesia’s largest cities, it is relatively untouched by the familiar sights of globalized American consumerism, save for a stray McDonald’s or KFC that occasionally pop up along major roadways. But Palembang, like much of Indonesia, is rapidly developing (perhaps too rapidly, by some accounts). After a Dunkin’ Donuts opened late last year, Starbucks was slated as the “next big thing” for the city of more than 1.5 million. 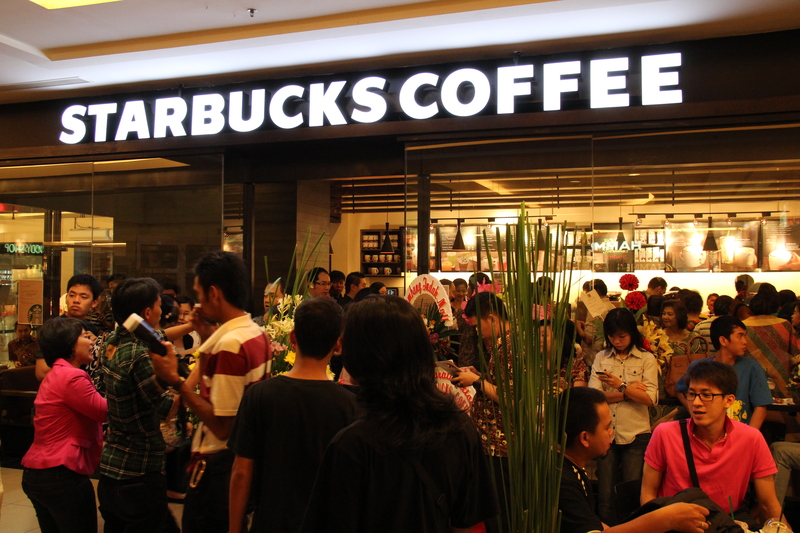 Following several delays, coffee’s largest global super-chain opened not one but two locations in Palembang in the span of one week. The first shop is on the ground floor of Palembang’s newest and ritziest mall, and the other is a smaller offering at the city’s airport. 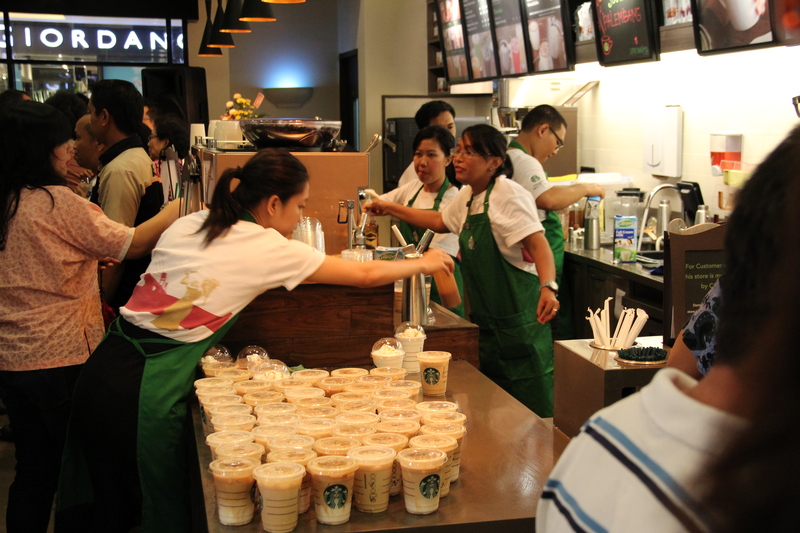 The crowd for the grand opening was large and thirsty. One manager reported the turnout was three times as large as expected only an hour into the event. 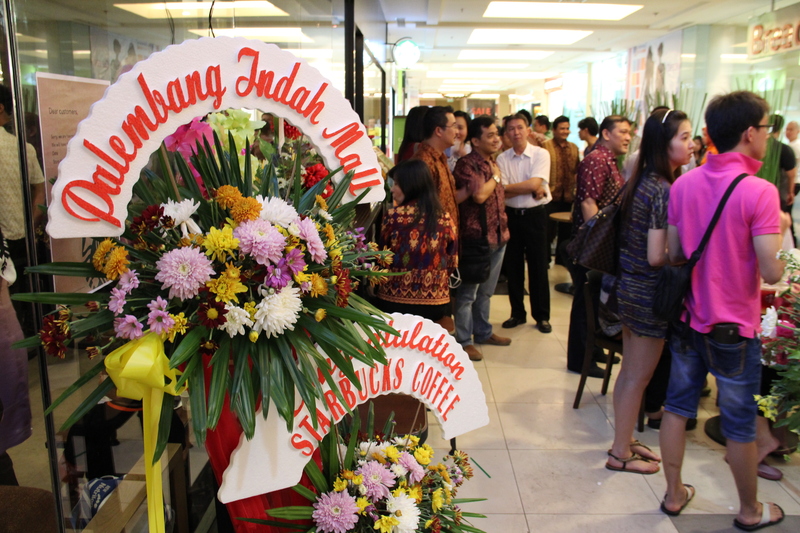 The main Starbucks location in Palembang is right next to an entrance to Palembang Indah Mall, which is the default destination for much of the city’s wealthier denizens. The mall now boasts three Americanized coffee shops, several name-brand designer stores and a large movie theater on the top floor. Free coffee was served early and often. Several guests (me included) left the night after over indulging on caffeinated beverages. Live music played throughout the three-hour opening, featuring a mix of Indonesian and American songs. I’m so impressed! 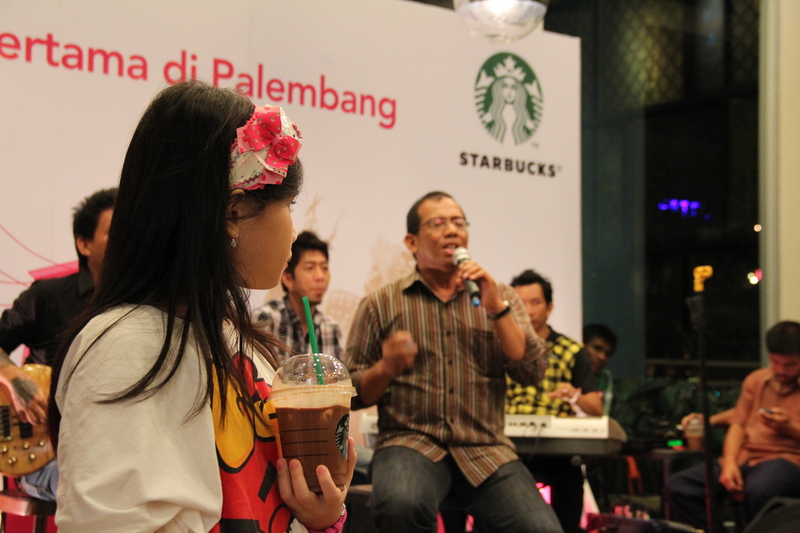 Is the mall Starbucks at PIM?